The Jewish State values Human Rights - especially the right to live. The UN doesn't see it that way. Islamic terrorists have long vowed to come first for the "Saturday people", and then the "Sunday people". In fact, in January 2014, a non-profit organization ranked the 10 most oppressive countries for Christians, of which nine turned out to be Muslim states. And of course, every chance Islamic terrorists get to attack the Jews, they do. This week thousands of Christians from all over the world prayed freely in the Old City of Jerusalem, as Israeli (Jewish) police ensured their safety. And naturally, given repeated terror warnings (and attacks) in the Holy City, there were security restrictions in place. As is the way of the world today, delays are inevitable and security precautions are necessary. 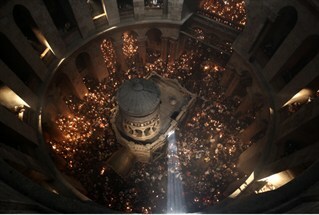 While Christian pilgrims thronged the Church of the Holy Sepulchre in Jerusalem's Old City Saturday, United Nations Middle East peace envoy Robert Serry issued a statement denouncing what he called an "incident", saying that “this security wasn't something you associate with a peaceful procession for Easter." What was this "incident"? The UN envoy was upset that the peace procession was stopped at a security checkpoint before the church "despite earlier assurances... of unhindered access." Does this fool know whether perhaps a terrorist - or a group of terrorists - had infiltrated the throngs of worshippers? Or whether there was an empty bag which couldn’t be accounted for? Or any other reason which would require security to check people – as they do everywhere in the world? The United Nations condemns Jews who guard Christians – this is simply unbelievable. One wonders, did our envoy ever see waits in airports when travelling to Israel? or anywhere else? Whom did he blame for that? If he wants to condemn "incidents" in the region, let Serry examine Palestinian Arab areas, where Christians are beaten, tortured and churches fire-bombed. As Samir Qumsieh, a Christian community leader from Bethlehem said on the eve of Christmas 2013, local Christians face discrimination at the hands of Palestinian Arab Muslims. Ron Prosor, Israel's ambassador to the United Nations wrote in The Wall Street Journal this week, that there is tremendous persecution facing Christians in the countries surrounding Israel today. “In the rubble of Syrian cities like Aleppo and Damascus, Christians who refused to convert to Islam have been kidnapped, shot and beheaded by Islamist opposition fighters. In Egypt, mobs of Muslim Brotherhood members burn Coptic Christian churches in the same way they once obliterated Jewish synagogues. And in Iraq, terrorists deliberately target Christian worshippers." Throughout the Middle East, Christians are being killed and churches burnt. In Israel, the Jewish State protects and values human rights – and in New York, the United Nations condemns Israel for ensuring Christians safe passage. 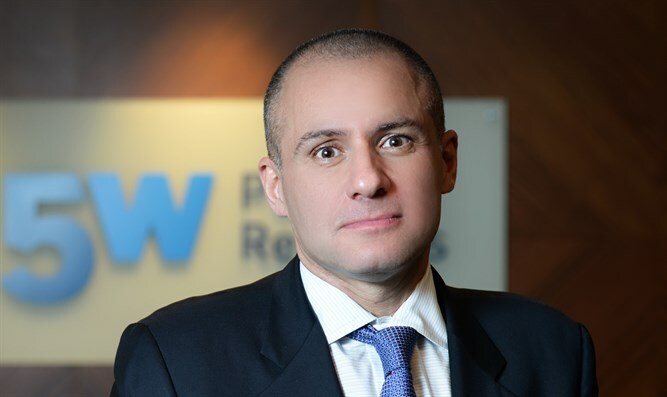 Ronn Torossian is an entrepreneur and New York based public relations executive.